Looking for an easy way to add enhanced content to your D2L courses? Pearson provides D2L integration giving institutions, instructors, and students easy access to MyLab and Mastering content. Using Pearson’s MyLab & Mastering Course Widget, our integration delivers streamlined access to customizable content, personalized study paths, responsive learning tools, and real-time evaluation and diagnostics in the D2L environment. D2L integration services give you easy access to MyLab and Mastering from your existing course and allows you to sync gradebook content. From a single course section to delivery across an entire institution, we offer the integration, support, and training you need. More information can be found on the Technology Tuesdays page. Pearson’ Publishers Representative (Jason Wiedenhoeft) will be on campus Thursday 11th September. 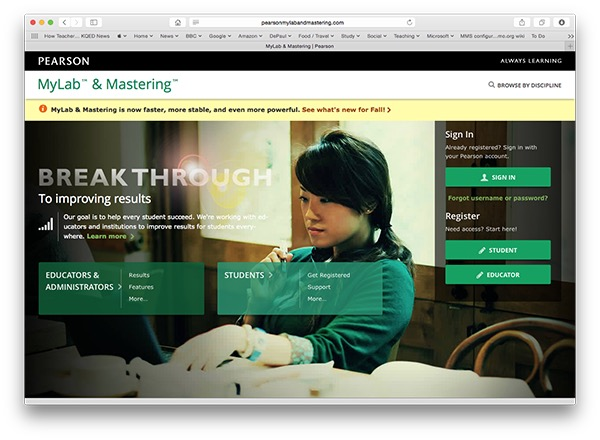 Dave Lee (at Pearson) shared a useful video with me that explains how to integrate Desire2Learn with Pearson MyLab. We will be experimenting with the plugin on our test instance of D2L, and plan to make this live later in the year. Import of a MyLab course should be done before students are enrolled in the MyLab. Once the course is integrated with the D2L course, students who are enrolled in the D2L course will then be prompted for an access code the first time they click on a MyLab link in the D2L course. Once they register their access code, they will have single sign on access to the MyLab resources from within the D2L course. Some interesting clarification from the Chronicle of Higher Education on the relationship between Google and Pearson on OpenClass was published this morning. You can read about it here. 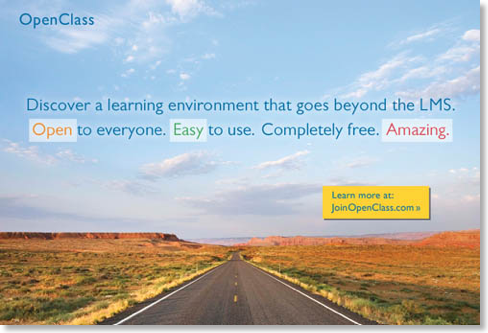 There is another shakeup in the LMS (Learning Management System) community taking place - Google and Pearson have joined forces to launch OpenClass, a free LMS. Whilst there is already a free (open source LMS) with Moodle, the collaboration between Google and Pearson is definitely going to be attractive to some. Google will be launching via Google Apps for Educators later, but in the meantime you can find out more here.